Ukraine's Lilia Podkopayeva possessed phenomenal gymnastics talent that won her the 1995 world and 1996 Olympic all-around titles, but her modesty and personal benevolence continue to earn her admiration worldwide. Podkopayeva's back-to-back World and Olympic wins were the first for a woman in the sport since Lyudmila Turischeva accomplished the same feat over two decades earlier. 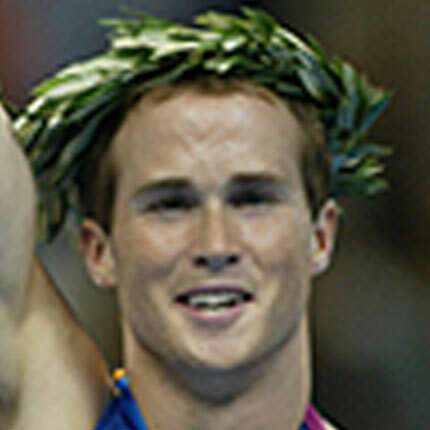 Throughout gymnastics history, certain champions have risen above their mere athletic fame to emerge as character role models, too. Ukraine's Lilia Podkopayeva possessed phenomenal gymnastics talent that won her the 1995 world and 1996 Olympic all-around titles, but her modesty and personal benevolence continue to earn her admiration worldwide. Podkopayeva's muscular, compact physique belied her innate balletic qualities that made each of her routines beautiful from start to finish. A native of Donetsk, Podkopayeva emerged as a world star in the early 1990s, shortly after the dissolution of the Soviet Union meant that Ukraine would compete on its own. 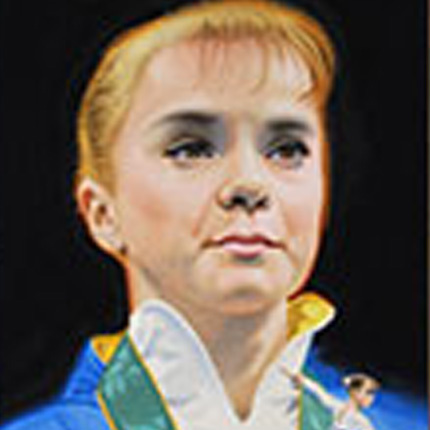 Podkopayeva won the all-around gold medal at the 1995 World Championships in Sabae, Japan. A year later, at the 1996 Atlanta Olympics Games, she captured gold medals in the all-around and on floor exercise. Podkopayeva's back-to-back World and Olympic wins were the first for a woman in the sport since Lyudmila Turischeva accomplished the same feat over two decades earlier. After Podkopayeva retired from competition, she coached in Florida before returning to Ukraine. She is a bona fide celebrity in Ukraine, but she uses her high profile for the advancement of several humanitarian causes. Podkopayeva's titles have regional government official, U.N. Goodwill Ambassador and benefactor. Among other charities, Podkopayeva and her husband, Timofey Nagorny, run the Healthy Generation foundation. She also organizes an annual variety show in Kiev to benefit children. Podkopayeva often returns to the U.S. to work at summer camps, where she is a popular guest coach. In 2008 Podkopayeva was inducted into the International Gymnastics Hall of Fame.